The Analog Signal Isolator can isolate analog signal and provide isolated power to sensors. It can effectively prevent sensor signal interference and apply to multi-parameter water quality monitoring sensors. Because usually sensors will be interfered by the other sensors during the measurement, especially those sensors in water quality monitoring system. For example, pH sensor (pH meter) will be affected by the electrical conductivity sensor (EC meter). The common solution is to isolate the power supply. Once you put them into the same container and share the same power supply, their value won’t be interfered by each other.This analog signal isolator is designed for this situation, it will isolate the analog signal and provide isolated power to the sensors. 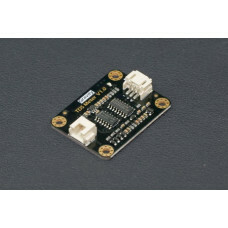 It has an on-board 5V isolated power IC, and compatible with Gravity-3Pin interface, plug and play, no need for soldering. The transform rate is 1:1, which means analog values in two sides should remain the same. 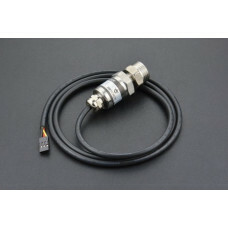 The isolator is compatible with almost all analog output sensors of many types produced by DFRobot. 1.MCU should provide 5.0±0.1V power supply and it decides the finial output precision. 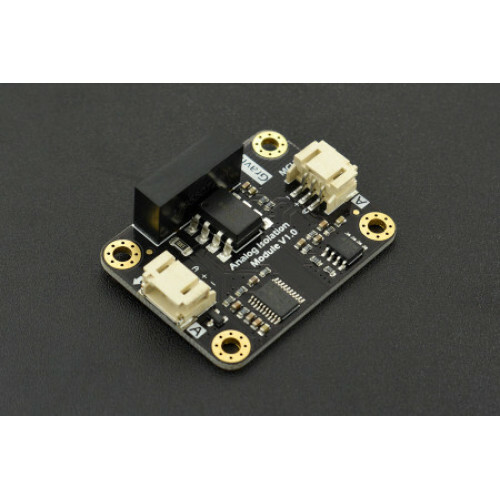 2.The module will consume a large current when it is working, you’d better to use an external power supply. 3.The MAX output current of SEN terminal is 170mA. 4.The GNDs of SEN and MCU are isolated, please DO NOT connect them together. 5.It will be a little warm when it is working.